Willie Grayeyes poses for a portrait. Shortly after Willie Grayeyes was sworn in as San Juan County Commissioner, he entered a courtroom to defend his official residence for the second time. Republican Kelly Laws, who lost to Grayeyes in the 2018 election, filed a complaint in late December alleging his opponent does not live in Navajo Mountain, Utah. Laws said evidence including an Arizona driver’s license and P.O. box proves Grayeyes is not a county resident, and consequently ineligible to be commissioner. Similar allegations removed Grayeyes from the ballot until a federal judge ruled county officials improperly invalidated his candidacy. Grayeyes, a Democrat, beat Laws by nine percentage points in the general election. Last week, 7th District Court Judge Don Torgerson heard eight hours of arguments on Grayeyes’ residency — arguments that addressed Navajo Mountain’s isolation from the rest of San Juan County and the lengthy commute through Arizona to reach the county seat in Monticello. Tuesday evening, Torgerson ruled that Grayeyes “is connected to San Juan County as deeply as any resident of the county.” The decision affirms Grayeyes’ seat on the county’s first Navajo-majority commission. Zak Podmore is a Bluff-based journalist and the editor of Canyon Echo. 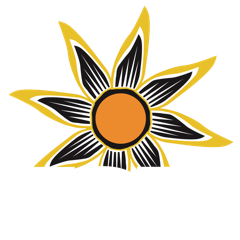 Podmore followed the case closely and joined KSJD’s Daniel Rayzel to share what he saw at the hearing and why the judge ruled in Grayeyes’ favor. For the first time in San Juan County’s 138-year history, Navajos will lead two of its three county commissioner seats.